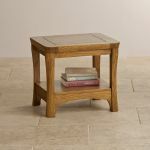 The Orrick Rustic Solid Oak Lamp Table is crafted using traditional carpentry technique to create a unique piece for your home. 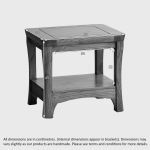 Crafted from the finest solid oak timbers which are specially selected for their grain patterns, the table features softly rounded edges for a sense of rustic charm. 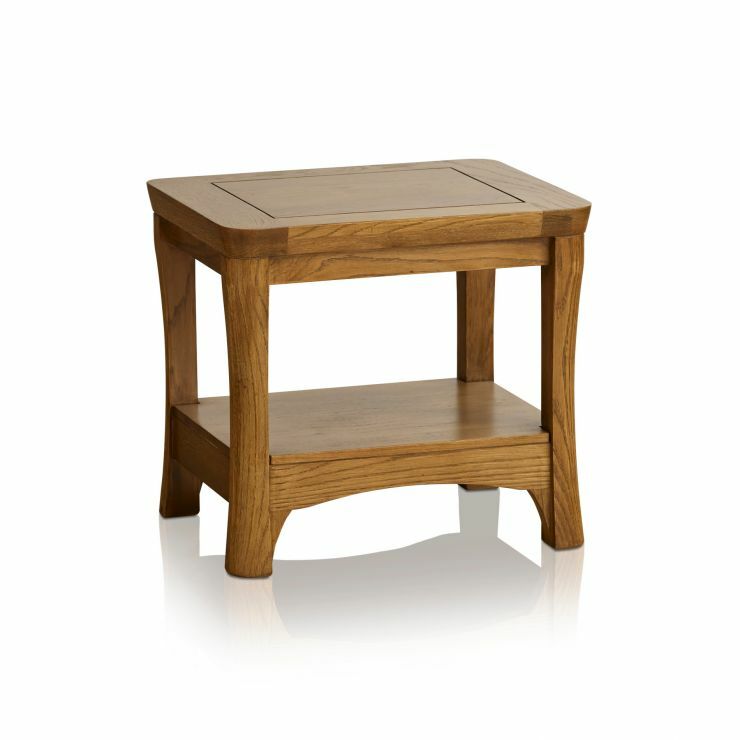 Below the spacious tabletop you'll find a low shelf, ideal for storing books or magazines in the living room. 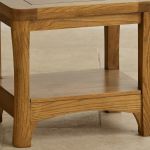 We never skimp on materials at Oak Furniture Land, which means you won't find an inch of veneer, MDF or chipboard in any of our products. 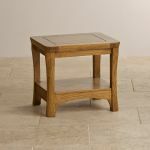 Browse the rest of this stylish range for more items of wonderfully matching rustic furniture. 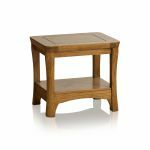 Delivery is completely free of charge and we offer a range of finance options including buy now, pay later.